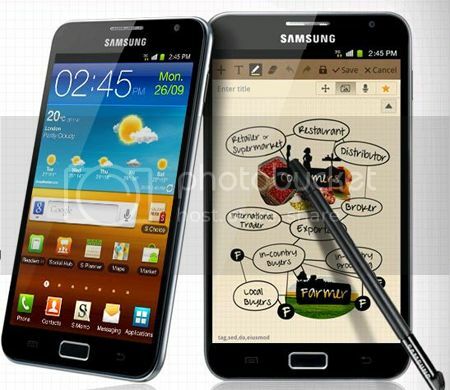 Samsung has stormed the world with new smartphones with its latest offering of Samsung Galaxy Note. As you can see, the new category has been introduced with the combination of the portability of the smartphones and the functionality of the tablet. No doubt, it will create a new user experience with an elegant and single device. The Samsung Galaxy Note features a huge 5.3-inch HD Super AMOLED display with the screen resolution is 1280×800 pixels and the pixel density is 285 ppi. This will definitely makes your web page viewing more comfortable. In addition, Samsung Galaxy Note has also introduced a remarkable feature with the S Pen. S Pen allows you to draw images, take notes, mark-up screenshots or maps on the touchscreen. When you have an idea that strikes you, then you can just take out your Galaxy Note and note it down with the S Pen. The innovation is so useful as I can write down to-do lists by just writing on electronic device rather than on paper. Apparently, it will be bring more convenience to me when transferring them into other electronic form of devices. With the S Memo, now I can write the notes onto the Galaxy Note which would digitize my handwriting and converting it into tidy electronic words. This is to entirely replace the common ways of writing pages of notes during classes last time which ended up with a lot of papers! In the other words, it allows everything to be organized and avoid unexpected occurrences such as losing of papers. So, can you imagine how wonderful this makes our life? Samsung Galaxy Note! Finally, it’s officially launched in Malaysia with the price of RM2,299 only! I still remember watching this cute advertisement in the cinema when it shows the very realistic eggs on a smartphone. The picture taken would come alive with vivid colors too. Well, I saw the power of Super AMOLED Display in Samsung Galaxy S2, but this time it’s going to be bigger screen with 5.3 inches of the Galaxy Note. Definitely, the screen is big enough for you to watch movies without squinting your eyes, yet portable enough to be kept in your pockets! Just look at this video for this amazing product here. In my opinion, the biggest selling point is its 8MP camera. With this powerful camera feature in the Galaxy Note, you can now capture the world’s every moment in deep detail. Thus, it has also proven in overcoming the common issue with phone cameras which are always delivering poor quality of the photos.